Glenn Morrow is a Hoboken, N.J., music treasure. He owns the influential 31-year-old Bar/None label (Yo La Tengo, They Might Be Giants, Feelies, dB’s, Of Montreal). His bands, such as the Individuals and “a,” have helped put the Mile Square City on the indie-rock map for equally as long. His latest project is Glenn Morrow’s Cry For Help, which has a new self-titled album. Morrow will be guest editing magnetmagazine.com all week. Morrow: Speaking of Boo & Elena, they’ve been running a series of benefits at Guitar Bar Jr. for various causes. Glenn Morrow’s Cry For Help played one for Planned Parenthood recently, and we worked up a version of “When You Walk In The Room,” written and originally recorded by Jackie DeShannon. I read somewhere that her version came out in 1963 on the heels of the success she had covering Sonny Bono’s “Needles And Pins.” I suddenly realized the distinctive 12-string guitar part pre-dated both the Beatles and the Byrds, forays into similar territory (think “Daytripper” and “Turn Turn Turn”). 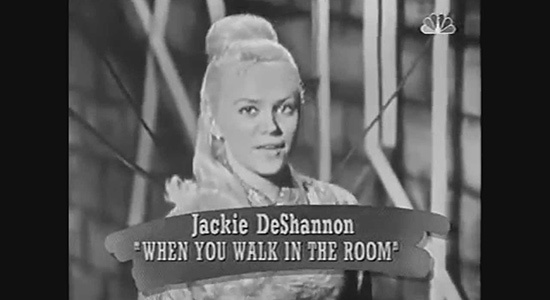 A little research turned up an interview where Jackie says she wrote the lick but got Glen Campbell to play it on the session. I’d say that was the birth of folk rock right there. Let there be jangle.